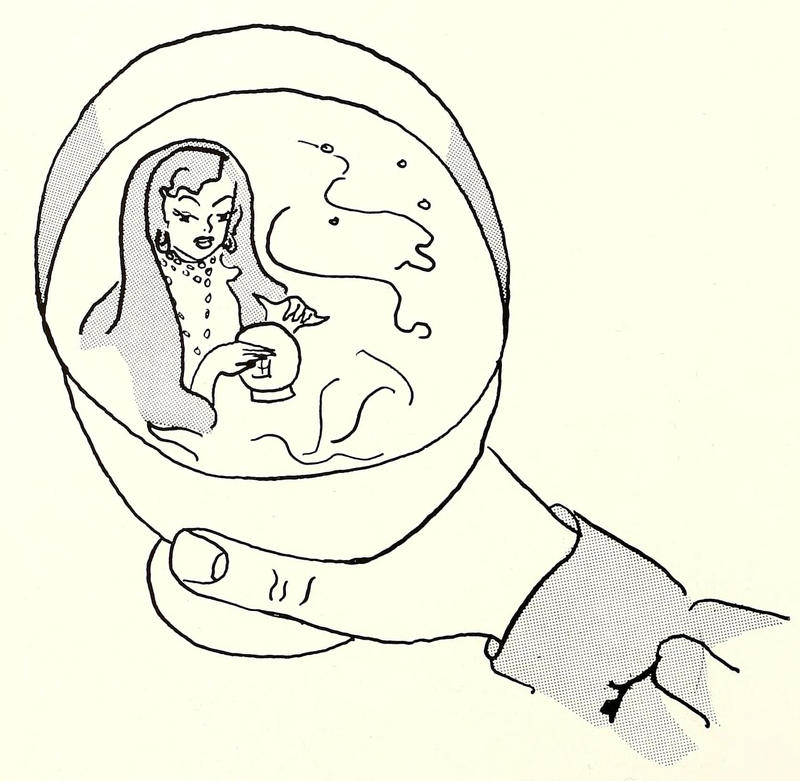 Within a goblet, a crystal ball reader. From Bethany's 1956 yearbook. See our own crystal ball in our video about how to get a major book deal without connections.